Wood structures like decks, pergolas, and pavilions are beautiful, but as we know, the wood posts are susceptible to cracking. Although these cracks generally don’t result in the post needing to be replaced, they can be very concerning to the homeowner. 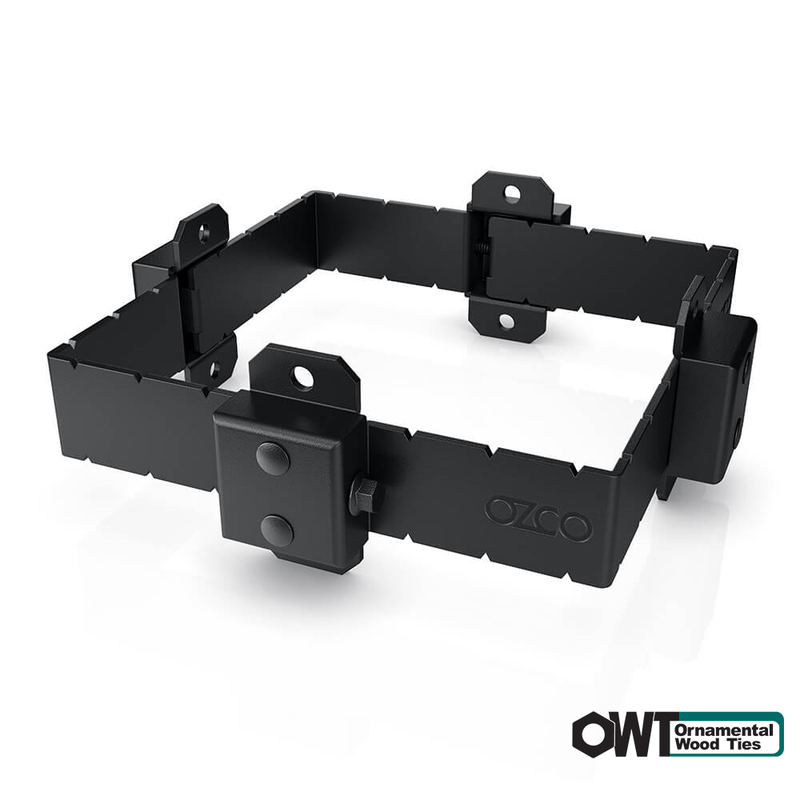 That’s where OZCO’s new Post Bands come in, bands can be installed to cinch up a cracked post or installed when the posts are green, to help prevent the posts from cracking in the first place. 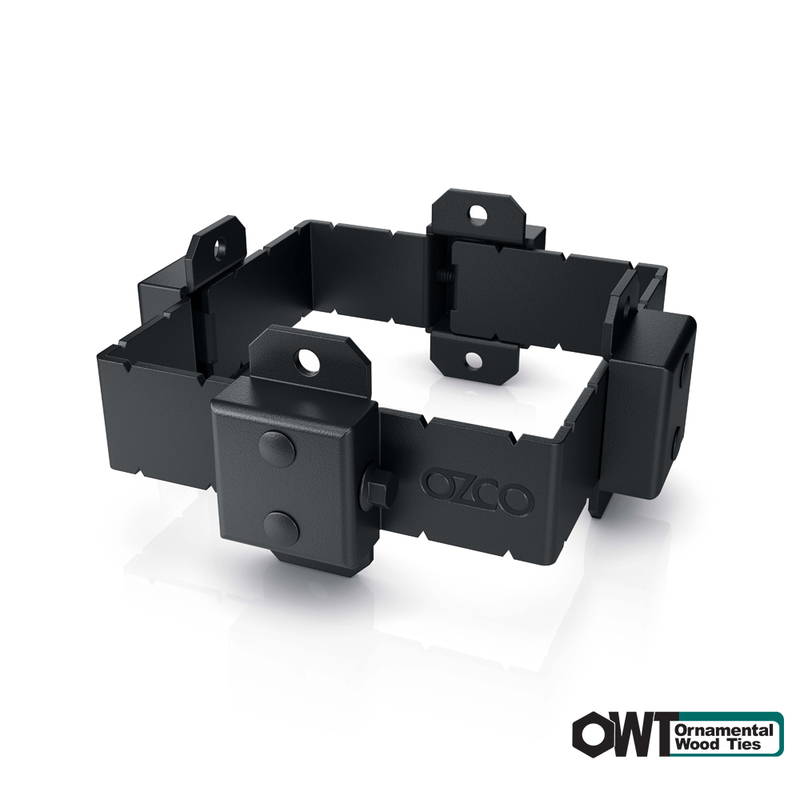 The OWT Post Band is a very effective product that can be installed in minutes. Simply position the bands where you would like them and tighten. Add one piece at a time, holding it in place, hand tightening the bolts. Then tighten the bolts with your wrench or socket. The Post Band is offered in 4×4, 6×6, and 8×8 sizes, and is adjustable for both smooth and rough cut wood. 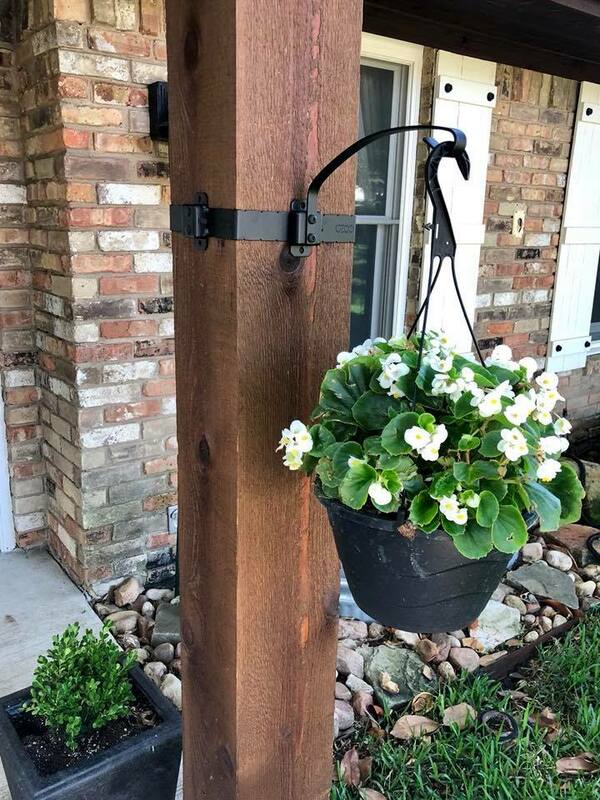 In addition to adding strength to a post, OZCO has created beautiful Outdoor Accessories that can be attached to the post band for both interest and functionality. Utilize, the Post Bands and add-on Accessories like the Plant Hanger and Wine Bottle Tikis as a sure fire way to create the atmo any intimate patio deserves. Your poolside pergola can now serve even more purpose than creating shade. 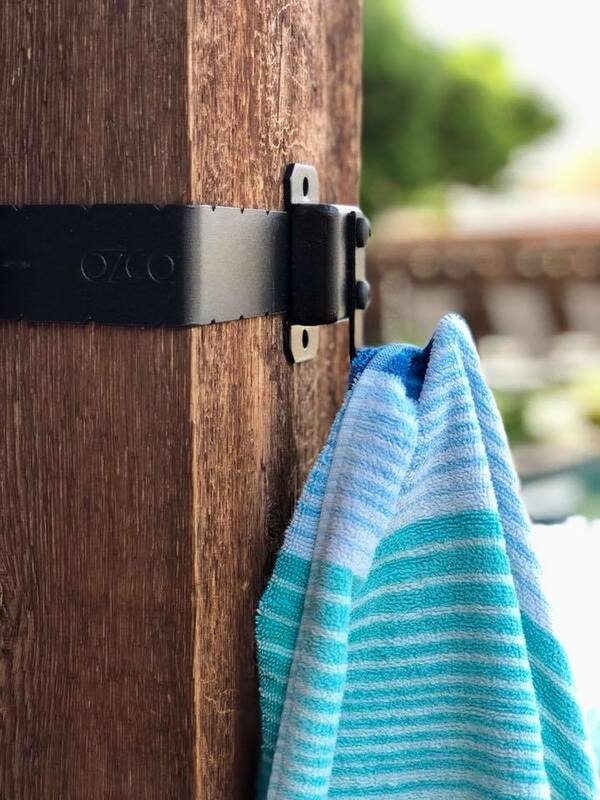 Add the Towel Hooks as an outdoor accessory and now you have places to hang towels, goggles, and any other item that is typically just thrown down poolside or even worse a wet towel on your patio furniture. 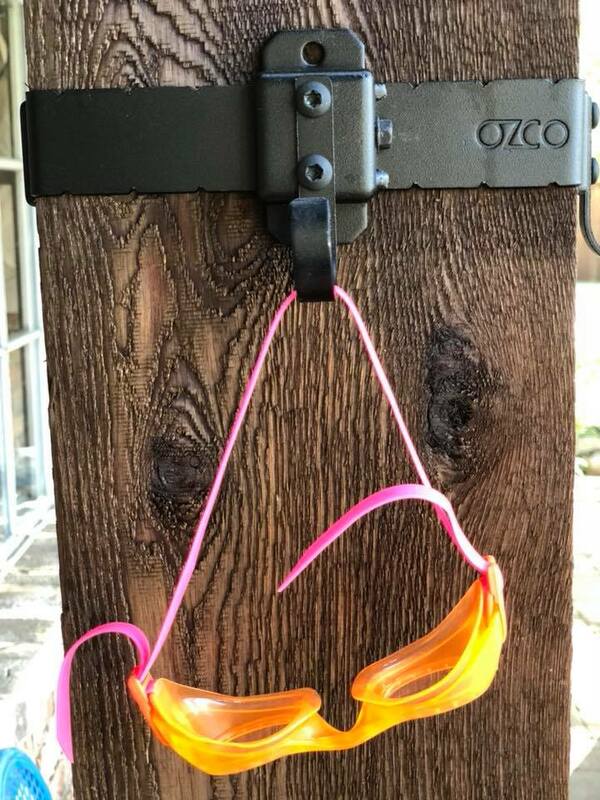 Hooks and Rings (we have those too) are also great to have near your outdoor kitchen and bbq to hang your grilling tools on. 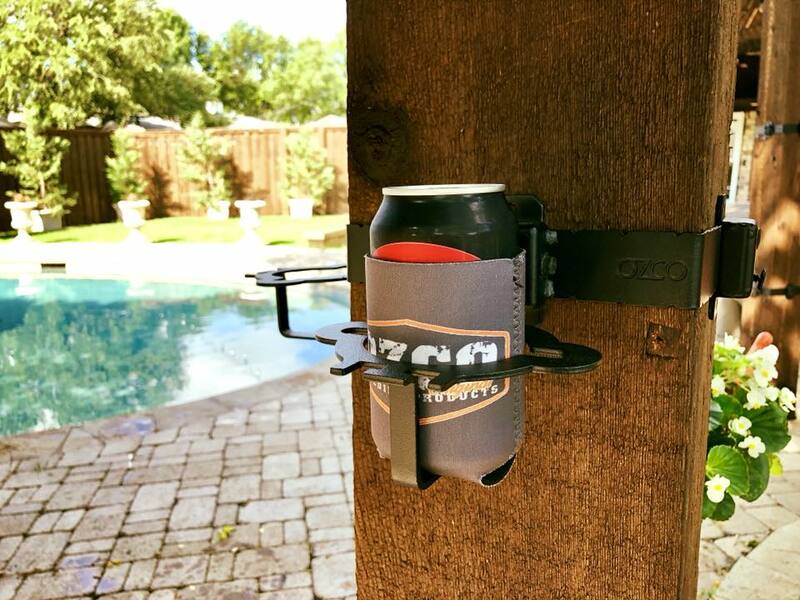 Always looking for a place to put your drink while barbecuing or just hanging out, we have that covered as well. The Can/Keys/Cell Phone Holder is a multipurpose accessory designed with cutouts to accommodate your phone and a tabbed outer cutout to hang your keys. 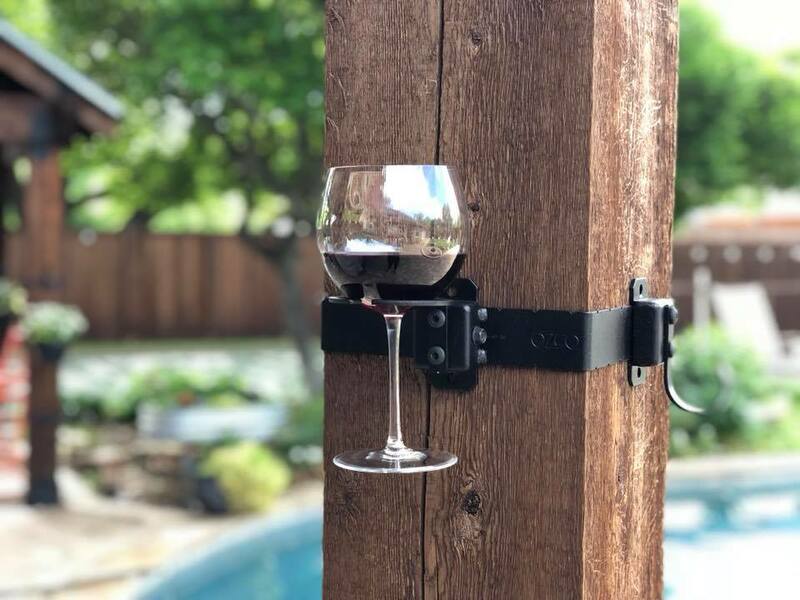 For the sophisticated wine connoisseurs, we have a special Wine Glass Holder sure to keep glasses away from the pool edge or that tail height coffee table your fur-babies are always running by.